Dubrovnik is the famous seaside resort of Croatia. It’s known for its beautiful waters, stunning architecture, Game of Thrones sets, and....it’s prices! 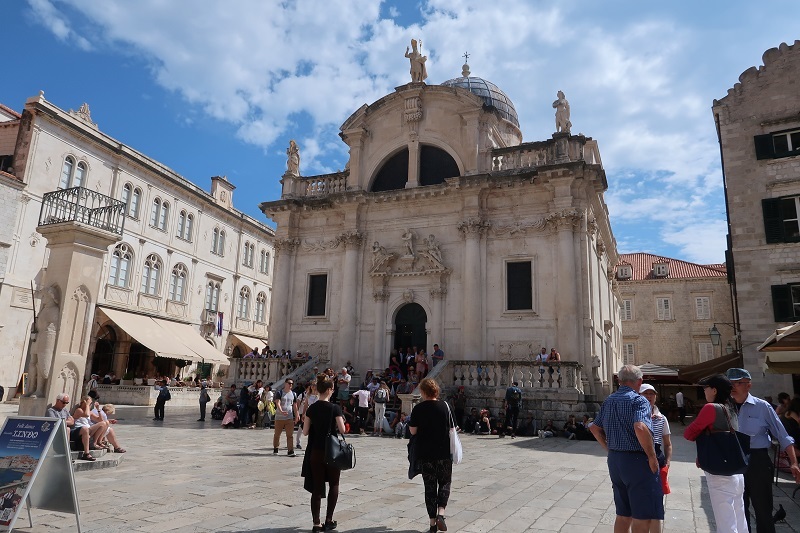 A trip to Dubrovnik can be quite costly, but thankfully I’ve been to Dubrovnik (on a budget)! Below I present to you my top tips of visiting the beautiful walled city of Dubrovnik on a budget. 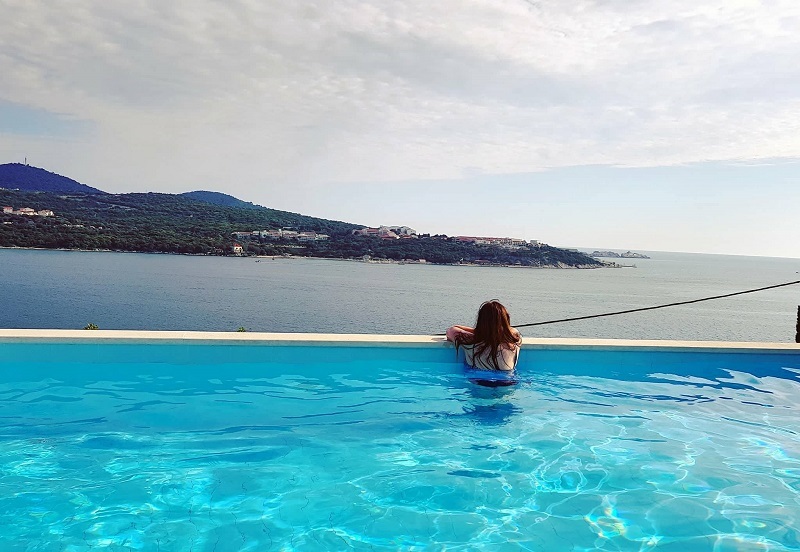 Where to stay in Dubrovnik on a budget? Choosing somewhere to stay in Dubrovnik is one of the areas that people would consider most expensive. However, the good news is, it’s totally affordable. There are great options on Airbnb, and booking.com so suit every budget. I decided I wanted to stay somewhere that had a swimming pool. The weather in Dubrovnik is beautiful in April and May, so I figured I would take advantage of it. Our view. We had the pool to ourselves! This worked out at £50 a night, so £25. Each. It’s around a 3 minute drive into the centre of Dubrovnik. If you have a car, you can park it in the public garage (more on that later), or you avail of Uber, or during the weekdays, you can get a bus into the old town. These apartments had a swimming pool that overlooked the water so you could see all the ships come in for day trips etc to Dubrovnik, which was truly beautiful. The apartments themselves are large, clean and comfortable. They also come with a kitchen (which is one of the ways I will suggest doing Dubrovnik on a budget). The staff are friendly and you get a welcome drink too! Perfection. I would highly recommend this place. 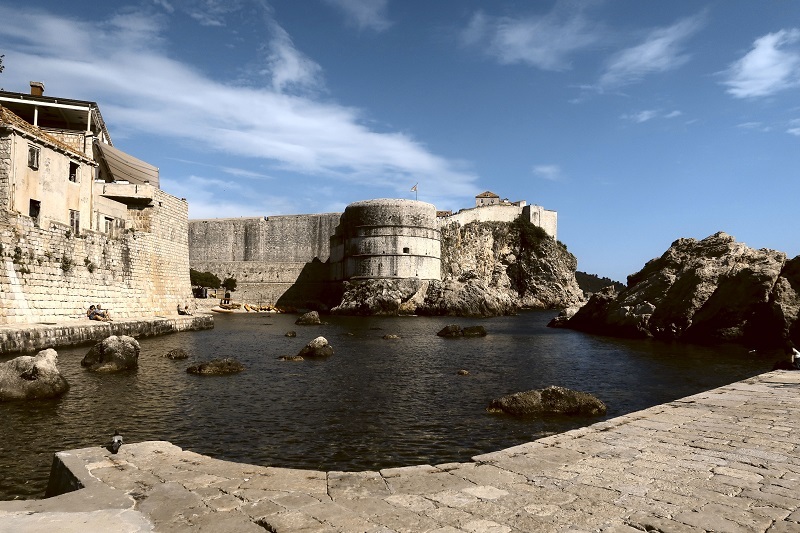 Where is cheap to park in Dubrovnik? Since we took our car to Europe, we were driving in Dubrovnik. Parking in Dubrovnik is nowhere near as cheap as the rest of Europe, so expect to pay more. The parking options are zoned into different areas, so basically if you want to park “in” the old town, you will pay a lot of money. The best thing to do is park at the “public garage”, which was basically created for people to leave their cars and then go explore the Old Town. The Old Town is around a 5-10 minute walk from there, and it’s sign-posted. The cost of this approx £4 an hour. Where is best to eat in Dubrovnik on a budget? Ah, eating in Dubrovnik. Dubrovnik is a tourist destination at its most touristy. The Old Town (thanks to Game of Thrones) is just a tourist haven. This means that most things are overpriced. This again totally depends on what your budget is, but if you are backpacking, then a meal for 13-14 isn’t going to be ideal. Bradley and I decided to make our own sandwiches to bring with us whilst sightseeing. We tend to do this for any expensive destination, (unless it’s Asia). You can easily turn your lunch into a cute picnic. There is a decent Lidl in Dubrovnik that sells lots of great salads, pastries, burgers, chicken nuggets (yes), so you won’t go hungry! No need to fork out on desserts at a restaurant. Ice Cream in Dubrovnik is not only cheap (around £1 for a big cone), but it’s SO DELICIOUS! There are so many flavours to choose from. Your only problem will be exercising self control and not eating the whole store. Good luck. 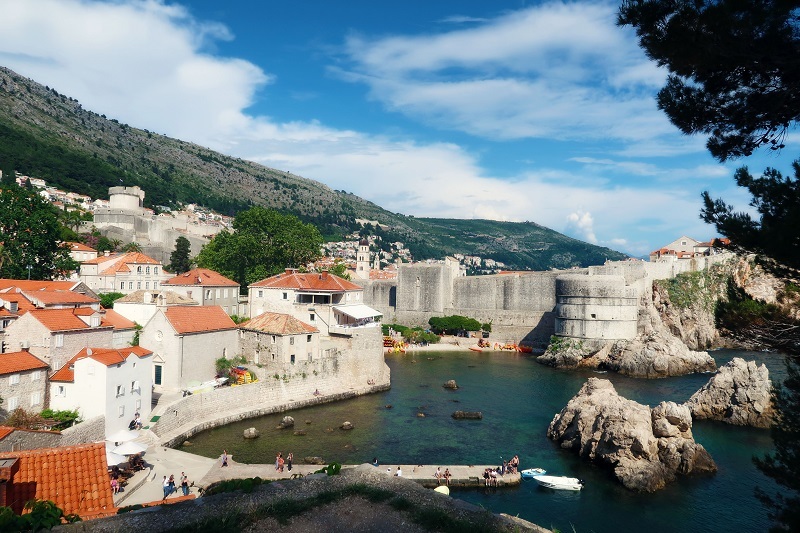 Whilst dining out at a restaurant overlooking the beautiful walled city is a romantic idea, it’s not exactly the right choice for doing Dubrovnik on a budget. Instead, when choosing your accommodation, opt for somewhere that has a kitchen and you can cook a romantic meal at home. Grab some wine, candles, and sit on your porch/balcony etc, and dine for cheap! By teh way, if you want to buy souvenirs for your friends and family back home, this isn’t an issue when you are on a budget as they are relatively cheap! 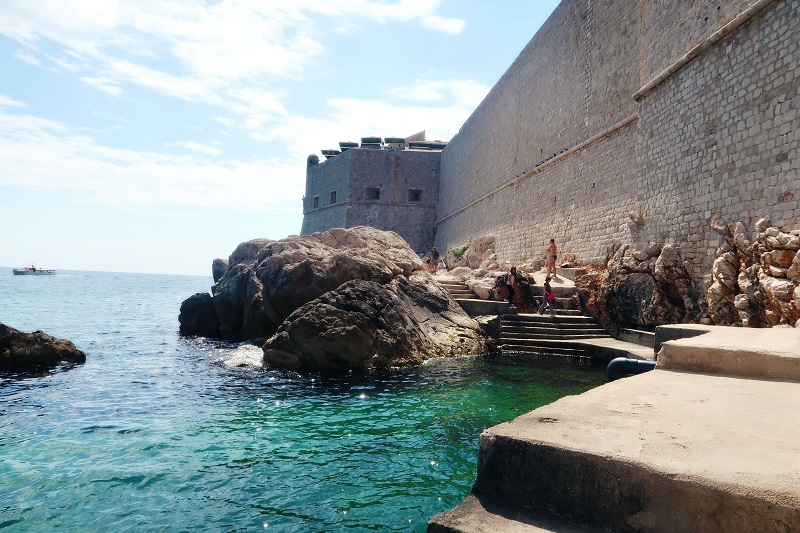 There are lots of things to do in Dubrovnik, some budget friendly, some not so much. I will list some of the things to do that are budget friendly...and we did, and those that you can do if you’ve got a little cash left in your budget. Well, if you’ve watched Game Of Thrones, then you’re going to love all the different filming locations over the city. I believe it’s the setting of Kings Landing. Now, I have never watched GOT, (I will eventually), but Bradley has, so it was great seeing him recognise different areas. You can do lots of GOT tours if you are die-hard fan. Some are quite cheap and reasonable, so I see no reason not to indulge in a tour. The good thing about a Game of Thrones tour is that there is actually no indication of GOT filming locations in the city- like no markers, or signs or anything. 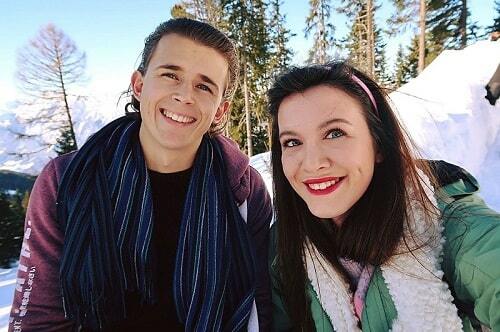 I believe that is probably to do with filming rights etc, so a tour guide (who have typically been extras on the show) can show you exactly where you need to go. They probably have some great stories too. When in Dubrovnik you can go up the city walls and walk round a very small portion of them. It’s actually quite an expensive activity for what you get. It’s almost £20. 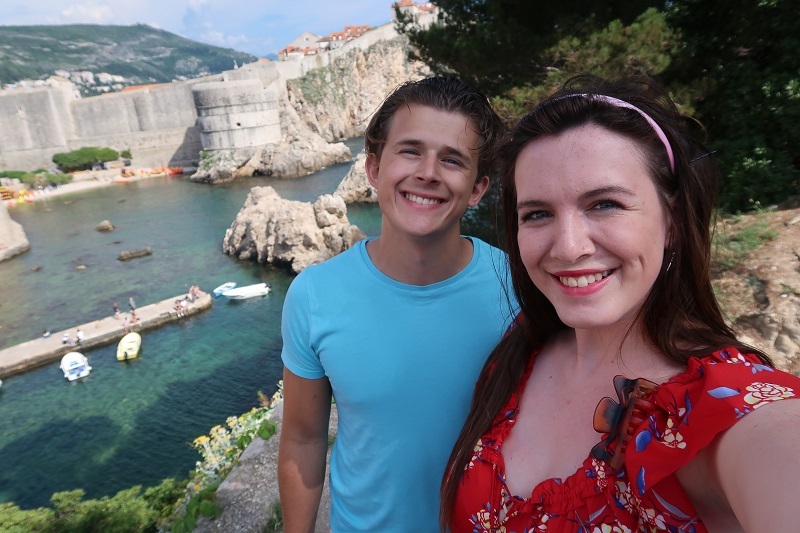 I mean, I’ve heard the views are amazing, and if it’s something you REALLY want to do, then go for it, but it’s not exactly a friendly option for Dubrovnik on a budget. Therefore, Brad and I didn’t see it. What I loved most about the Old Town is little streets everywhere. Every little street you go down has shops, restaurants, cafes and beautiful buildings. Forget about using a map, just keep walking and find somewhere cute to stop. Whilst we wandered we found the “shame steps” used in GOT. I really would have loved to do this, but time and money meant we couldn’t. I would suggest taking a one-way ticket up the cable car, and walking back down. It’s about 1.5 hours back down and I am told the walk is lovely. So you can save yourself some cash there. I’ve listed the cable car prices below. When you are at the top they have a panoramic restaurant, which is crazy overpriced (I’m talking around £5 for a coffee), but the view from above of the Old City is priceless. If you want to treat yourself, then make sure you stop and take pictures, or sit and enjoy a drink with one of the most beautiful views in Europe. You can take lots of different types of boat rides in Dubrovnik. Whether it’s a submarine style experience with a glass bottom, or a romantic dinner cruise. I wouldn’t recommend this if you are doing Dubrovnik on a budget, but it’s something else to do. I can’t think of a more beautiful destination to sea kayak than here. The sea is beautiful, the weather is blissful, and I am sure you will see lots of fishes. I’ve included some links to tours that do the sea kayaking. I didn’t get the chance to go myself, but if you just want to go on the day. On the right hand side to the entrance of the old town, there is an area that rents out kayaks from there. This place has some amazing views and you can walk to the very top, before you need to pay an entrance fee. Basically the entrance fee gives you the chance to go into the fort and look at the view from the otherside. But once you get to the top anyway, there is a little porch that offers you beautiful views. Don’t pay in, just get your photos and head back down! (If you have already paid for the city walls, I am pretty sure this fort is included in your ticket price). This is your "free" view. Pretty beautiful! There are lots of beaches, and little cliffs and coves to swim in Dubrovnik. No need to pay, just find yourself an area you like the look of and swim until your heart's content! 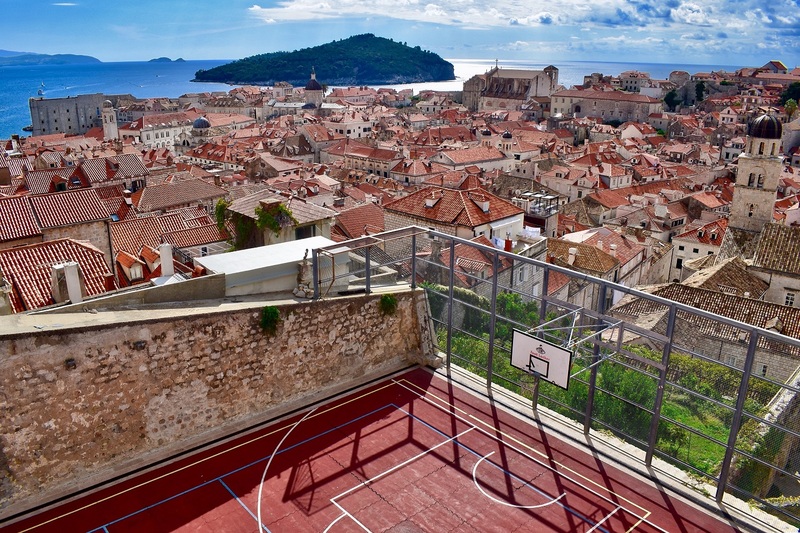 A perfect free activity for those visiting Dubrovnik on a budget. The water is perfect for swimming! 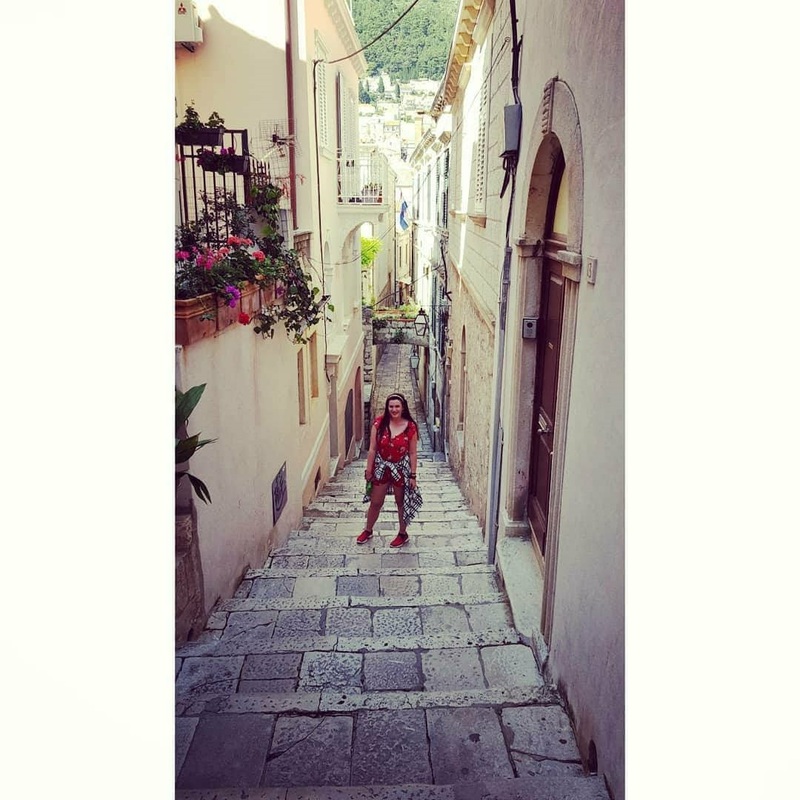 Below I’ve listed some final tips from my own experience on doing Dubrovnik on a budget. Use Revolut. You can get a better exchange rate than revolut because it’s set by standard levels. There is no withdrawal fees, bank fees, just no fees at all. So if you want to get more for your money, use Revolut. We have used them for 2 years travelling now! Pay in Croatian Kuna (with Revolut). You will have the option of Euro, but it’s not going to be a good exchange rate, so pay local. Use sites like GetYourGuide and Viator for discount deals. If you’re looking for tours, day trips or activities, or packages that give you the option of seeing lots of different things for a cheaper price, then use these websites. I’ve used both and it’s convenient, easy and great value! 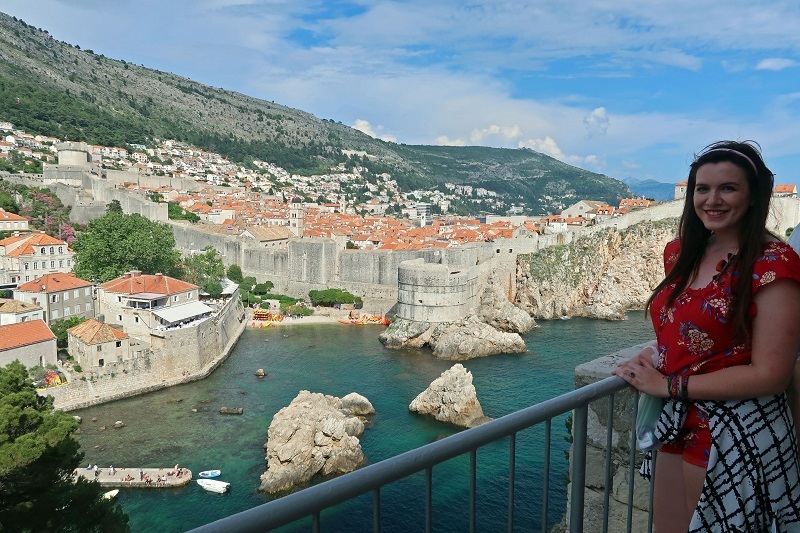 So there you have it, my guide to Dubrovnik on a budget. If you’ve been to Dubrovnik on a budget too, then comment below with your tips! Want budget friendly tours in Dubrovnik?